Silence isn’t one of the things you associate with New Year celebrations; however, for the people of Indonesia, it plays an important cultural and ceremonious role. Last time I left for Bali, I arrived just days before the country was set to bring in the New Year. The Nyepi Holiday, Balinese New Year, is not only an incomparable experience; it is also an opportune time to immerse yourself in the rawest form of Balinese traditions and beliefs. This year the event falls on Tuesday 28th March. Celebrations take place over the course of 24 consecutive hours, beginning at 06h00 until the same time on Wednesday 29th March. I noticed during my time in a remote village in Bali that if you keep a watchful eye in the days leading up to the event, you can catch glimpses of a number of festivals, rituals and ceremonies – some dating back 2000 years. I got my first taste of the New Year celebration when I witnessed the warm and generous Balinese people carry statues of the Gods to the sea for their symbolic bath, known as ‘Melasti’. The atmosphere created from the ceremony pulls you into a calming and captivating trance. On Ngerupuk, the day before Nyepi, a sacred ceremony in which evil spirits are exorcised from humans, animals, and homes takes place all over the island. During my visit, I took part in different rituals – spreading rice, smoking the house and yards, lighting firecrackers and making noise by banging on things, typically with Bamboo. The most vivid and lively parts of the New Year celebrations begin to take hold of the villages in the late afternoon. 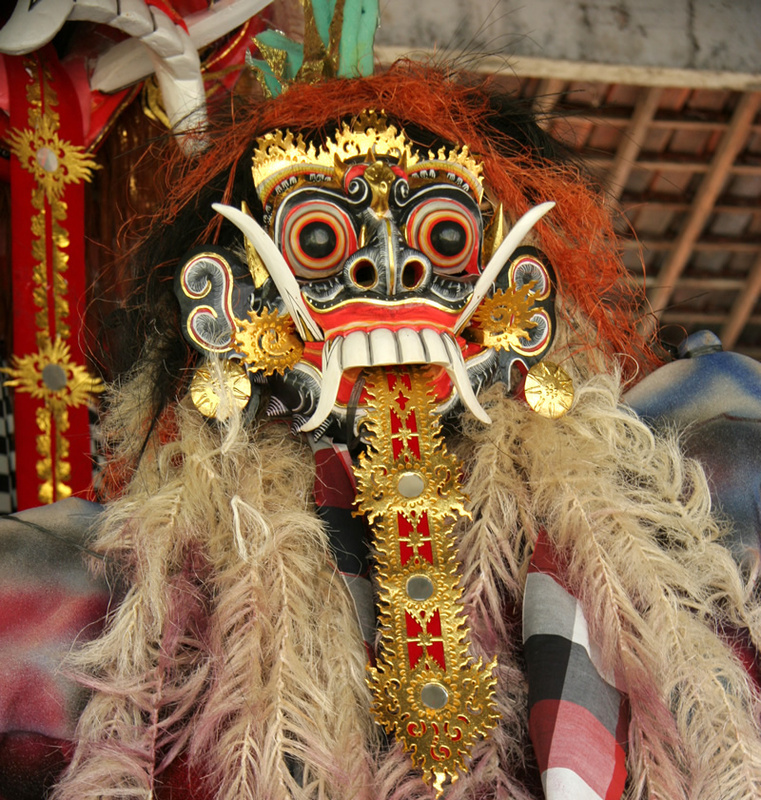 Dressed in traditional garments, people flock to the streets for the parade of demon sculptures, called Ogoh – Ogoh. Following offerings of gifts, food and flowers the sculptures are lifted on bamboo poles and paraded around the neighbourhood, a procession which is accompanied by gamelan music. Finally, the statues are burnt in a spectacular symbolic gesture to rid the village of evil spirits, for the year ahead. On the day of Nyepi, the ‘Day of Silence,’ the most peaceful New Year Celebration you have ever witnessed will begin to unfold. The Balinese will remain indoors, fast for a period of 24 hours and refrain from using fire or light, blanketing the island in a peaceful darkness. Rituals continue into the following day, known as Ngembak Geni, and are primarily centered around the importance of family. As you observe the communities as they gather to ask forgiveness from one another and perform religious rituals, it’s impossible to resist reflecting on the importance of your own relationships and develop a greater appreciation of those closest to you. Experience Bali’s spiritual heart for yourself, during Nyepi or any other time of year. Drop us a note and our Asia Trip Planner will craft your very own bespoke journey to this incredible island.